Are Men Leaving the Church Because It’s Insufficiently Intellectual? Women will, I suppose, decide for themselves whether this is an offensive claim to make, but it strikes me as accurate. Most men, in my experience, prefer to access their emotions through ideas, while most women prefer to access their ideas through emotions. This is not a claim that one approach is “superior” to the other — obviously, both feelings and ideas are indispensable to our humanity — but just that they are different, and, for whatever reason, evangelicalism tends to favor the “female” approach. I wonder, if we are serious about attracting men to church, if the solution is less to infantilize them by waving steaks and guns in front of their noses and more to challenge them by teaching the rich ideas and contentious debates from the Christian tradition. Clearly there’s no shortage of important questions to be debated. Is human nature as corrupt as Calvin claimed? 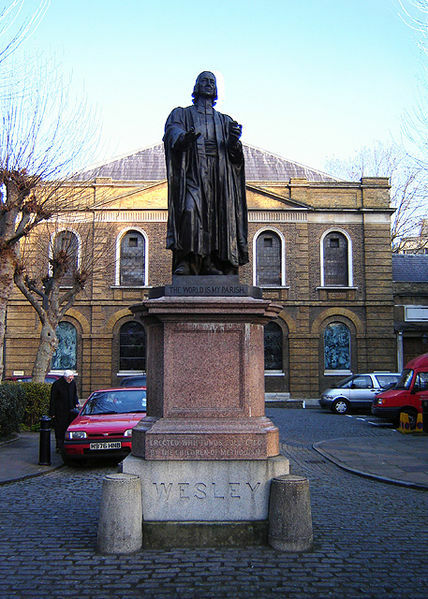 Is the will as free as Wesley taught? Is God as transcendent as Aquinas believed? Are the Law and the Gospel as separate as Luther wanted them to be? Is Christ as fully present in the Eucharist as Iranaeus [sic] argued? Look, I think — despite his best efforts to avoid false binaries — Harrington’s post rests on two problematic assumptions. I’ll let women readers “decide for themselves” how they want to respond to the notion that a “female” approach to church tends to devalue the life of the mind. But if men find their manhood threatened by an emphasis on the emotional and relational, then my opinion is that the task for churches is not to accommodate such views, but to teach a more holistic, biblical, Christ-like definition of masculinity. First, is there actually a “man problem” in the church today? Harrington links to statistics gathered by Church for Men founder David Murrow. While Murrow’s understanding of masculinity seems to tend more towards the “steaks and guns” version that Harrington rightly rejects, the data he cites come from reputable sources like the U.S. Congregational Life Study, which found that 61% of worshippers are women, and the Barna Group, which found that women’s participation in church life has fallen off more than men’s in recent years, but is still somewhat higher on most counts. In short, if there is a “man problem” in American religion, it’s always been there. And it’s not unique to the early 21st century, to evangelical Protestantism, or even to Christianity. Which does not deny the existence of the problem, but should make us hesitate to accept Harrington’s diagnosis and prescription. Somewhat peevishly, I’d be inclined to reject his explanation of causation just because it’s so annoying to see Pietism once again blamed for evangelical anti-intellectualism. (It’s telling that Harrington starts his post with John Wesley — an Oxford-educated priest conversant in the ideas of the Enlightenment whose famous quadrilateral accords reason a significant position of authority.) In any event, wouldn’t it be more fruitful to look to a historical phenomenon more recent than 18th century Pietism and Methodism to explain the 21st century manifestation of a problem that goes back at least to the 17th century? For example, couldn’t we argue that one legacy of the seeker-friendly church growth movement in the late 20th century was that preaching and worship were watered-down intellectually? Of course, if we go down that path, we’ll need to deal with the fact that the vast majority of people preaching and leading worship in evangelical churches are, well, men. And in any event, I’m not sure there’s a lot of non-anecdotal, time-tested evidence suggesting that more emphasis on ideas and less on emotions and relationships would bring men back to evangelical churches. (Interestingly, David Murrow, the Church for Men activist, likes to emphasize that most men have such a short attention span that they can’t deal with long sermons or lectures.) It’s easy enough to find examples of intellectually robust, theologically conservative Christianity in American history, but if Braude is correct, then most of those churches still had female majorities. But I’ll say this: whatever doubts I have about a “man problem,” it takes little to convince me that evangelical churches should do more to promote the integration of faith and learning in congregations. I’ve written before about the challenge of being an intellectual in an emotional church — jumping off from a post by a woman. And I’m currently in the preliminary stages of talking with some colleagues about a new initiative meant to help bring the liberal arts to the general Christian population. But churches should foster conversations about philosophy and theology — and history, literature, the arts, and the sciences — not because doing so will draw men, but because Christian formation should always integrate the heart, hands, and head — however many or few congregants churches have of any category. Or maybe the problem is masculinity, and a religion which says, “blessed are the meek,” or asks us to admit our faults and promises “my power is made perfect in weakness” is a challenge to standard American concepts of masculinity. Nietzsche said Christianity was a religion for women and slaves. He meant it as a slur, but maybe God’s ways were simply clearer to those who had no power of their own. Also, I find much in this article difficult to take in the 21st century, when happily, things are changing very quickly. 56 percent of graduate students across all fields are women, more than half of law students are women and 43 percent of medical school students are women. All this is true even though parts of society, ie, evangelical Christians, still believe “women don’t care about ideas, they’re all about emotions.” Look at what women are doing, up against that. I’m not sure there is all that much acknowledgement of emotion in the Western church to begin with. I agree with Matthew Elliott (Feel: The Power of Listening to You Heart) that preachers and theologians have taught us to deny and ignore feelings. Let’s try talking about the Kingdom of God like Jesus did and see what happens. Thanks for a good article!